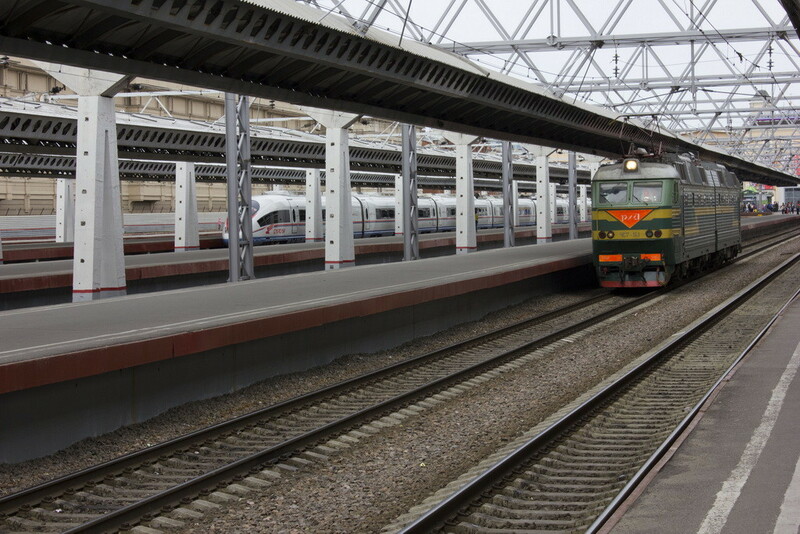 St. Petersburg runs five major railway stations serving long-distance and short-distance trains. Local railway system is not connected to the metro (subway) system, neither exists a city’s railway network like S-Bahn in Berlin. All five stations are located in the city center just near subway stations. They are being managed by Directorate of railway stations (DRS), a subsidiary of the Russian Railways JSC. The stations provide Wi Fi access to the Internet, a free session is limited by 25 minutes. And of poor quality. All the stations are open 24 hours. Short distance: Oranienbaum (a town of Lomonosov), Peterhof, Gatchina, Luga, Kingisepp, Ivangorod. Long distance: Finland (Kouvola, Lahti, Helsinki). Short distance: Vyborg, Priozersk, Zelenogorsk, Repino, Solnechny, Petrokrepost, the lake of Ladoga. Long distance: Finland, Moscow, Murmansk, Arkhangelsk, Petrozavodsk, Ekaterinburg, Vologda, Novosibirsk, Tyumen, Adler (Sochi), Anapa. Short distance: Volkhovstroy, Nevdubstroy, Mga, Kirishi, Budogosh, Tikhvin, Staraya Ladoga. Long distance: Moscow, Velikiy Novgorod, Tver, Bryansk, Adler (Sochi) and a lot of major destinations east and south of St. Petersburg. Short distance: Tosno, Shapki, Lyuban, Malaya Vishera, Volkhovstroy, Nevdubstroy, Budogosh, Kolpino, Kirishi, Staraya Ladoga. Subway station: Zvenigorodskaya (violet line). The entrance to the station Pushkinskaya that’s the closest to Vitebsky is currently being repaired. Long distance: Ukraine, Belarus, Tallinn, Vilnius, Riga. Short distance: Pushkin, Pavlovsk, Oredezh, Velikiy Novgorod, Luga. — VIP waiting rooms with TV, shower, sofas, high-speed Internet access.